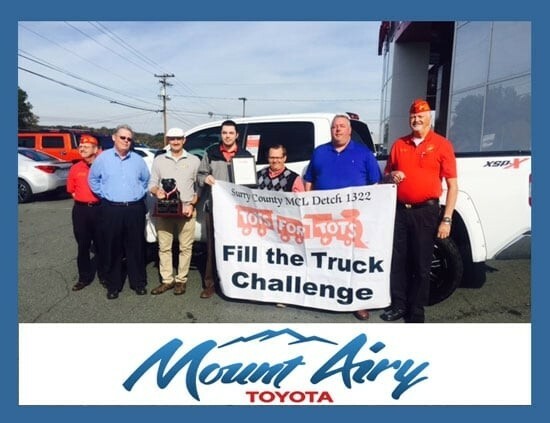 Mount Airy Toyota’s annual Toys for Tots drive kicks into gear on November 8th and runs into December. Mount Airy Toyota’s owner, Scott McCorkle, is asking for local North Carolinians and Virginians to donate a new, unwrapped toy for a child in need. Each year, Mount Airy Toyota and neighboring Mount Airy Chrysler Dodge Jeep Ram, also owned by the benevolent McCorkle, have a friendly competition to see which dealership can load the most toys into the bed of a pick-up truck and put bright smiles on local tots’ faces. Mount Airy, you’re America’s Mayberry! You have responsibility and patriotism dripping from your pores. And right now, Mount Airy Toyota could use your kind, Southern hospitality. Drive down to 508 N Andy Griffith Parkway today to drop off a brand new stuffed animal or a brand new pack of Matchbox Cars or a brand new football or any brand new toy you believe will be cherished by a local kid in need. 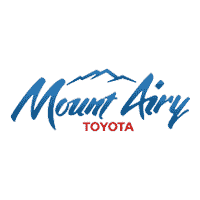 Each year, the staff at Mount Airy Toyota donates a large share of the toys. This year, they need your help to make this holiday season special for a local tot.